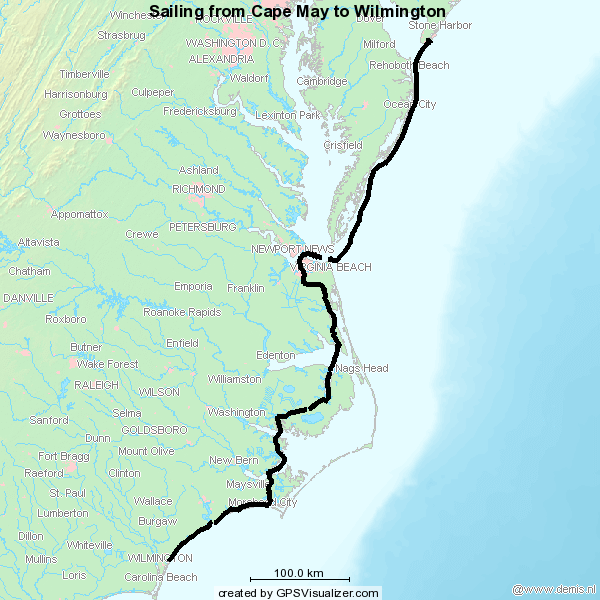 Ve stayed in Cape May couple more days waiting for better weather, we sailed whole night in big atlantic waves, went through lakes, rivers and endless canals of intercoastal waterway and at the end also sun shined and got warmer…. After the hurricane we needed to stay in Cape May and wait for better weather – slower wind and lower waves. Basically there was nothing to do, so most of the time we were freezing because it got really cold, spent time on internet, read books, chat with other sailors, walked in Cape May centre |but there was not much to see because of the hurricane only a few people left there) and the evenings spent in bars with Paula. (some pictures from Cape May).